Giving USA 2011: Good News or More Bad News? Giving USA 2011 reports that charitable giving in the United States increased by 2.1 percent in 2010 compared to 2009, when adjusting for inflation. So, is this good news or bad news? We believe the numbers underscore the fact that giving remains a core American value. Over the past decade, philanthropy has held its own in spite of two recessions, terrorism, wars, and a series of devastating natural and man-made disasters. Adjusted for inflation, total giving exceeded $280 billion a year every year for the past decade and surpassed $290 billion in six of the last seven years. This tells us that despite personal and economic hardship, Americans remain steadfastly committed to each other and their communities. Philanthropy is at the heart of who we are as a society, and it is undeterred, if occasionally deferred, by hardship. I suggest that the good folks at Giving USA are the ones who have it right. While the report does not present great news, it does certainly present good news. Charitable giving is up. Furthermore, despite the ravages of the Great Recession, giving has remained at 2 percent of Gross Domestic Product. Since data has been collected, philanthropy as a percentage of GDP has hovered between 1.7 percent and 2.3 percent. I also want to point out another piece of good news in the Giving USA report. Of all philanthropic revenue streams, bequest giving saw the largest turn around. Bequest giving increased 16.9 percent in 2010 despite the continued depression of the housing market. While bequest giving took a huge hit of 38.5 percent in 2009, Giving USA attributes that to unusually large bequests that were recorded in 2008. Bequest revenue accounted for 8 percent of philanthropy in 2010. While it is true that giving has not yet recovered to a pre-recession level, giving was up in 2010 following a two-year decline. The modest up-tick in charitable giving in 2010 is consistent with other immediate post-recession periods. If Your House is on Fire, Don’t Throw on More Wood! I’ve worked in the nonprofit sector for a long time. I landed my first professional fundraising job 31 years ago at Temple University. Given how long I’ve been around the nonprofit sector, you might think that I’ve seen and heard it all before. But, I recently received a reminder that that’s simply not true. One of my Twitter friends Tweeted a news item about the Vancouver Symphony Orchestra, the one in southwest Washington near Portland, Oregon. The link took me to a sad news article: “Vancouver Symphony’s Future in Doubt” in The Columbian. Mistake 1–Misidentifying the Problem: You can’t solve problems if you can’t identify the problems. This might explain some of the difficultly at the Vancouver Symphony Orchestra. The Columbian quotes Scott Milam, the Orchestra’s board chairman, as saying, “Like most small nonprofits, the economy has caught up to us. We’re struggling very hard.” While I’m reasonably confident that the recession has indeed contributed to the Orchestra’s troubles, an examination of the Orchestra’s 990s at Guidestar reveals that the organization’s problems are more complex. In 2006-07, public support totaled $385,600. In 2007, with the recession officially beginning in December (in mid-fiscal year), public support dropped to $352,236. So, the Orchestra did see a philanthropic decline. However, the $352,236 is still well above the $249,969 that was raised in 2005-06. And, the $299,050 that was raised in 2009-10 was also above the 2005-06 level. So, while public support is down, this by itself does not explain the Orchestra’s trip to the edge of the abyss. Furthermore, the decline in contributions cannot be blamed solely on the economy. Consider that in 2008, 39 percent of arts and cultural organizations reported actually raising more money than they had in 2007 with another 20 percent saying they had raised the same amount, according to a Guidestar survey reported in Giving USA 2009. Looking at ticket sales reveals more. While The Columbian reports that the number of tickets sold has gone up over the past five years, the 990s reveal that ticket revenue has actually declined since 2006-07. In 2006-07, ticket revenue totaled $146,345. By 2009-10, ticket revenue had fallen to $115,574. What’s even more telling is that ticket revenue only covers about 20 percent of the Orchestra’s operating budget. Virtually no performing arts group can sustain itself at that level. As a general rule of thumb, earned revenue must total at least 50 percent of the operating budget. The Orchestra has seen a decline in both philanthropic support and earned revenue. And, its expenses have remained at an unsustainable level relative to earned income over this period. Until the board gets a handle on all of the complex issues, the future of the Orchestra will remain in doubt. Simply attributing the troubles to the economy is insufficient. Mistake 2–Wrong Actions: About one year ago, the Orchestra’s director of development left. Perhaps in response to its fiscal woes, the Orchestra chose not to fill that position. Surprise, surprise. Without a solid director of development, contributions continued their downward slide. Now, looking ahead to 2011-12, the Orchestra is planning to eliminate the executive director and the director of marketing positions! It’s unclear how the Orchestra expects to effectively manage itself during this crisis without a strong executive director. It’s equally unclear how the Orchestra expects to increase desperately needed ticket revenue without an effective marketing director. Imagine if you knew the perfect words to inspire your donors and prospects. How much more successful could you be? How much more would your organization be able to accomplish? Whether you communicate with donors or prospective donors via direct mail, email, website, telephone, advertisements, or face-to-face, the words you use are of critical importance. Words and images build the messages we convey. Carefully selecting the words that are most meaningful to your intended audience will ensure that your messages are correctly understood and have the desired impact. By contrast, choosing the wrong words could result in disaster. ….the power of poignant language is immense, but the destructive power of an ill-thought sound bite is unending and unforgiving. Successful, effective messages — words and language that have been presented in the proper context — all have something in common. They stick in our brains and never leave, like riding a bicycle or tying our shoelaces. Not only do they communicate and educate, not only do they allow us to share ideas — they also move people to action. Words that work are catalysts. They spur us to get up off the couch, to leave the house, to do something. When communicators pay attention to what people hear rather than to what they are trying to say, they manage not merely to catch people’s attention, but to hold it. Let me give you an example to illustrate Luntz’s point. For a Millennial or Generation X audience, the word “innovation” is powerful. While “new and improved” was a phrase that once created excitement, today it is tired and worn-out. By contrast, “innovation” is a word that is fresh, future focused, active, and desirable. However, among older Americans, “innovation” is not a word that often resonates. A better word choice for older folks is “renew.” Actually, there are a number of “re-” words including revitalize, rejuvenate, restore, rekindle, and reinvent. Each of these words is rooted in tradition, but conjure forward thinking thoughts. On the other hand, a younger audience might think words rooted in tradition are simply old fashioned. Identify your objectives. It is essential that you know what you want your newsletter to accomplish. Is the purpose to generally inform readers about the organization? 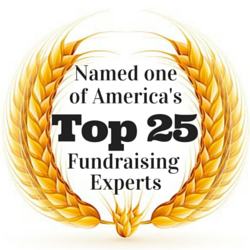 Is it to recognize donors? Is it to promote planned giving? Once you determine your objectives, you’ll be better able to prepare appropriate content and build a proper mailing list. Don’t just produce a newsletter to have a newsletter. Know why you want one. Appropriately brand your newsletter. Make sure your newsletter branding is in alignment with your overall organizational branding. For example, your general advancement newsletter will look different than your planned giving newsletter, but both should use your organization’s colors and carry the organization logo. Mail at least three times per year. As with most marketing communications, frequency is important. For a newsletter to have impact, one needs to be sent at least three times per year. Mailing only once or twice will simply ensure that readers forget about the publication, and possibly the organization, between issues. With each additional newsletter readers receive, the overall impression will grow, just be sure not to over-saturate your market. Some readers might ignore one issue but, overtime, they will likely not ignore all issues. Mailing at least three times per year will ensure that you grab the attention of busy readers and remain in front of them throughout the year. Consistently maintain a production schedule. Develop a communications plan and then stick to it. Make sure that readers do not receive a slew of communications from your organization in one week and then hear nothing more for a couple of months. Instead, coordinate your various communications to ensure a consistent presence. Once you’ve developed the communications plan, stick to it. Readers will grow accustomed to receiving your newsletter at particular times. If you miss a date, they might think that you dropped them from the list, the newsletter got lost in the mail, or that your organization is having serious budget trouble. Mail to as many prospects and donors as the budget permits. Determining how many newsletters to send will involve an analysis of your target markets and the objectives of your newsletter. For example, a general advancement newsletter might be sent to all donors and certain prospects to inform them of your organization’s accomplishments. 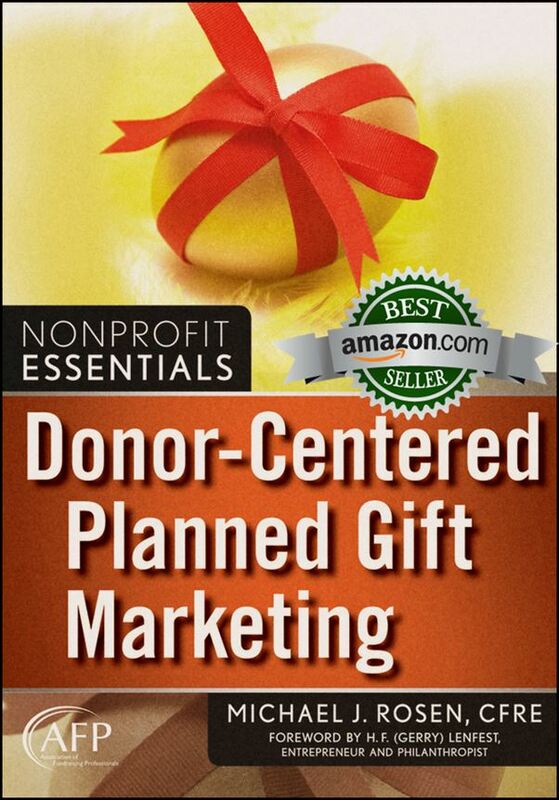 On the other hand, a planned giving newsletter might be sent only to frequent annual donors age 55 and older to inform them of the impact that planned gifts have on the organization and how such gifts can benefit the donor and his loved ones. Make sure the newsletter is designed for older eyes. People over 40 years of age are not going to want to read eight point type. If someone has to reach for her reading glasses to see what’s in your newsletter, there’s a good chance she won’t. So, make sure to use a large font size such as 12 point. Also, avoid using reverse type (white letters on a dark background); reverse type is difficult to read and not easy to photocopy or fax clearly. Also, avoid low contrast situations; the darker the type and the lighter the background, the better. 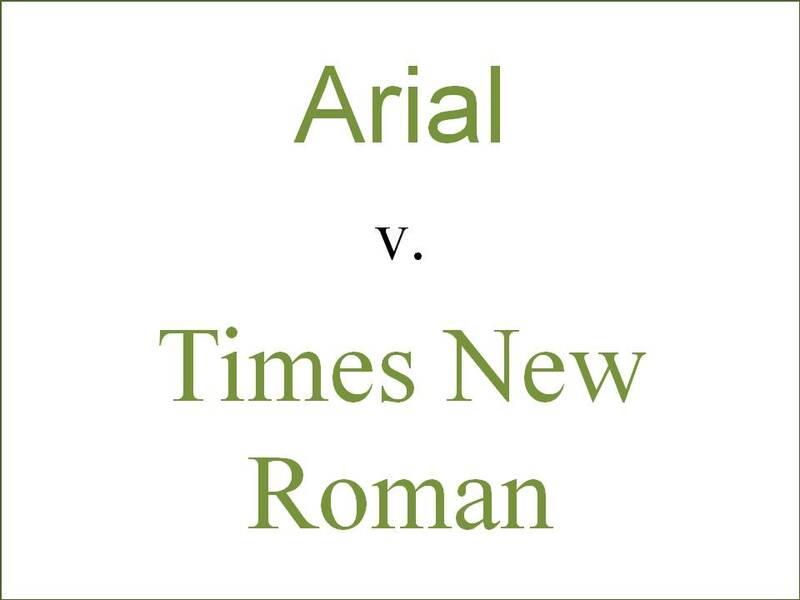 While sans-serif fonts such as Arial might look cleaner and prettier than a serif font such as Time New Roman with its little “feet,” the reality is that serif fonts are easier to read. Retaining the current deduction for itemizers but adding a floor. Allowing all taxpayers to claim the deduction, with or without a floor. Replacing the deduction with a nonrefundable credit for all taxpayers, equal to 25 percent of a taxpayer’s charitable donations, with or without a floor. Replacing the deduction with a nonrefundable credit for all taxpayers, equal to 15 percent of a taxpayer’s charitable donations, with or without a floor. You can download a PDF of a summary of the report here: Summary of CBO Tax Deduction Report. You can download a PDF of the complete report here: CBO Report on Charitable Deduction Options. You can read the article “Study Shows How Changes to the Tax Code Could Affect Giving,” from the May 31 issue of The Chronicle of Philanthropy, by clicking here. As you review the report, you will see that the CBO has found that tax policy can have an impact on charitable giving. However, readers should remember that the greatest influencer of charitable giving is Gross Domestic Product. Giving has been consistently about two percent of GDP since records have been kept. Any government policy that encourages growth in GDP will lead to growth in charitable giving. Any government policy that slows GDP growth or causes a drop will also impact charitable giving in like fashion.